The venerable small-block Chevy V8 engine has seen an amazing evolution in the past 60 years. From the early 265/283 displacement engines to the most popular engine of any era, the 350 SBC, all the way to the modern LS platforms of today. Many of these current small-blocks have as many cubic inches as the big-block Chevy engines. As these engine packages evolved and changed, so did the cylinder heads that were bolted to the blocks. With bore and stroke improvements came intake runner and valve size changes. We take a look back at the evolution of small-block Chevy cylinder heads, and marvel at the mechanical improvements of today’s stock cylinder heads, compared to yesterday’s muscle car era cylinder heads. In 1955, Chevrolet introduced the small-block Chevy which ended up becoming the world’s most popular engine ever built. On November 29, 2011, General Motors announced to the world that the company had built its 100-millionth small-block V8 engine. With so many different applications, the small-block V8 Chevy engine had become the most widely used engine in history. Each of these engines came with two cylinder heads for a total well over 200 million, taking into account replacement and over-the-counter sold cylinder heads. With more than double the amount of production, this makes the small-block Chevy cylinder heads the world’s most used cylinder heads as well. Casting numbers in Gen I cylinder heads are found near the valve spring seats under the valve cover. The date code stamp is directly under the casting. This cylinder head has a casting number of 3947041 and a date code of J108 signifying that this cylinder head was cast on October 10, in a year that ended in 8 (1968, 1978, 1988, etc.). This particular head was used on SBC 350 engines produced from 1968 through 1970 which would indicate that the cast year was almost certainly 1968. GM’s long line of small-block cylinder heads makes it easy for this engine component to be one of the most mis-identified components in the entire drivetrain. At a quick glance, the cylinder heads all appear to be basically the same. Nothing is further from the truth. There are internal differences to each casting that can make a significant difference in the performance of the entire assembly. There are cylinder heads that have the same casting marks but have different sized valves. When it comes to identifying cylinder heads, using every piece of information available is the only way to make a positive identification. Casting numbers are generally found on many of the parts used by GM and Chevrolet as a reference to identify the whole assembly or subassembly. These identification numbers are cast in to the part during the manufacturing process. 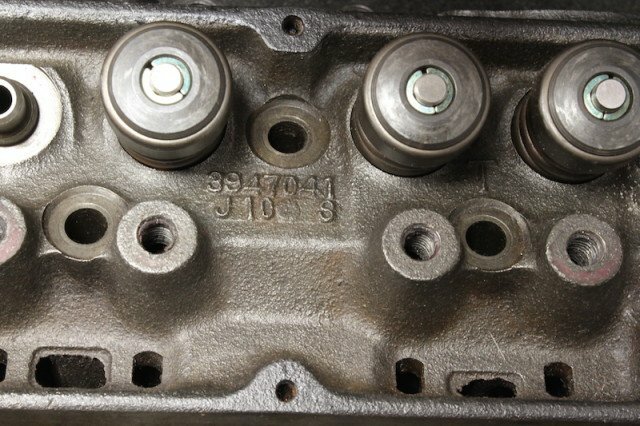 Casting numbers for small-block cylinder heads are usually located between the valve spring seats under the valve cover for Gen I and Gen II heads and in the valve galley on the newer cylinder heads. 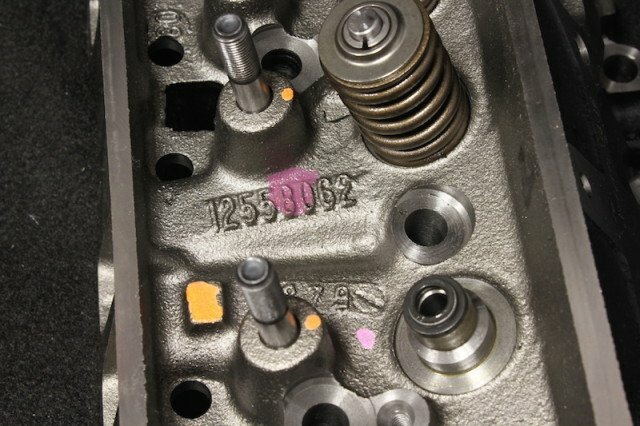 Vortec cylinder heads also have the casting numbers located near the valve spring seats but the orientation of the numbers is different than the Gen I cylinder heads. Casting dates are also cast into the head during the foundry process and may or may not be visible without removing the valve cover. Most of the Gen I factory cylinder heads have casting dates located between the valve seats like the casting numbers. Casting dates are frequently a letter followed by two or three numbers. The letter represents the month and the next one or two digits represent the day, followed by another digit that represents the year. GM uses a letter code to represent the month when casting the date of manufacture into the cylinder head. Chevy heads have often been identified by sight and most commonly by the different casting shapes on the ends of the cylinder heads. While these casting marks cannot tell specifics about the cylinder heads, they can help identify a performance head from a non-performance head. These casting identifiers have even created nicknames for certain performance heads like the famed “double-hump” cylinder heads. The term “double-hump” originated from the shape of the casting symbol (identifier) at the end of the heads. The best way to properly identify cylinder heads is to cross-reference the casting numbers and casting dates. Many times, GM used components for different applications simply because the inventory was there and plentiful at the time. Casting identifiers are the cast symbols at the end of the cylinder heads. These symbols are part of the casting process at the foundry where the cylinder heads are manufactured. For example, it is well known that the 327ci engine was installed in 1971 and 1972 Pontiacs and Chevrolet passenger cars during the same period simply because the engine was in stock and available. Still, the casting symbols can only tell so much about a cylinder head. “Fuelie” cylinder heads or “camel hump” heads were very popular in the 1960s but were not limited to a single casting number. 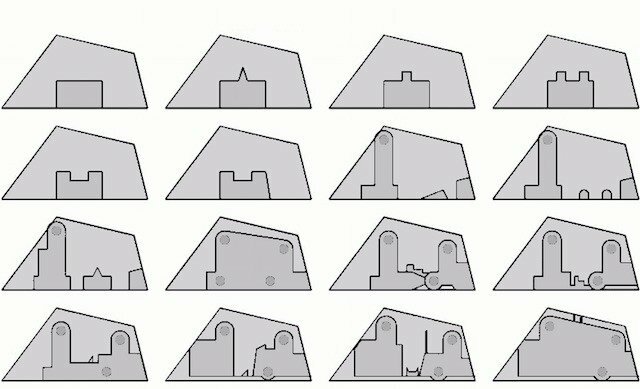 There are at least six different casting numbers that are identified under the camel hump casting identifier. It pays to be as informed as possible, and use as much information that is available when positively identifying cylinder heads. The casting marks at the end of the cylinder heads can tell a lot about the heads, but they should be cross-verified with casting and date codes for proper identification. From their introduction in 1955 through 1991, small-block Chevy engines used virtually the same configuration for the engine platform, which means that the cylinder heads followed suit. These are considered the Gen I era engines and cylinder heads. The introduction of the SBC 350 LT1 with reverse flow cooling launched the Gen II family of small-block engines. Aluminum was used on some Gen II cylinder heads, which ushered in a major change in cylinder head manufacturing. Gen II engines were dropped from production in 1997 when the Gen III engine platform was introduced. The Gen III small-blocks are a completely different design than the previous two generations of small block engines. Nothing from the Gen III engine will interchange with the previous small-block designs. Cylinder heads from 1955 through 1959 had a staggered bolt pattern for the valve cover flange bolts. The top two bolts were closer together than the bottom two bolts. This changed in late 1959 when the valve cover bolts were moved directly across from each other and the valve covers could be swapped end-to-end. One of the most influential small-block cylinder heads ever made was manufactured in the late 1950s. Casting number 3836842 cylinder head first showed up in 1957 model Chevrolets equipped with the 283ci V8 engine. All Chevy V8 engines, from the big-blocks to the LS engine platforms of today, evolved from this 283 small-block family. The same thing can be said of the cylinder heads. For our purposes, these cylinder heads set the original benchmark for flow and clearly showed what intake design and flow could do for engine power. The engineers knew that the cylinder heads were capable of handling more flow, they just needed to breathe a little better. This led to special performance packages that were offered to customers. Casting 3836842 was used on 238ci V8 engines from 1957-1967. These low compression heads came with 1.72-inch intake and 1.5-inch exhaust valves and a 59cc combustion chamber. The intake runner volume measured 137cc. Five different versions of the engine were produced between 1957 and 1961, all with the same cylinder head design but with different fuel delivery systems. A traditional single carb could produce 185hp, but the new Ramjet mechanical fuel injection pushed this block/head combo to 283hp in 1957. One horsepower per cubic-inch was an amazing feat at the time and this combination was the second U.S. production engine to achieve that feat. Horsepower topped out in 1961 with this cylinder head with 315hp on the now legendary 283ci block. These cylinder heads disappeared with 283ci Super Turbo-Fire in 1963 with the introduction of the 327ci small-block, but they reappeared with the 283ci engine option for Chevy passenger cars-including the Chevelle-in 1964. As the engines began to evolve, so did the cylinder heads. Looking back now, we can see that when the engine displacement grew, the size of intake runners and valves grew proportionately. Cylinder head identifiers were an early visual reference for gearheads looking to scavenge parts to hop up their hot rod. “Double humps” and “fuelies” were the hot ticket for almost the entire decade. As local rodders became more educated, pairing up the right combination of cylinder heads with pistons and intakes often meant the difference between success or failure on the track. It didn’t take long for certain cylinder heads to become the most sought after for higher performance. These famed “fuelie” heads were introduced with the 327ci fuel-injected Corvette model in 1962. This combination, along with the Duntov solid lifter cam, produced 360hp or 340hp with the single Carter 4-bbl carburetor. The success of these heads cause every Chevy cylinder head with the double hump casting identifier to be referred to as fuelie heads for an entire generation of hot rodders. This casting number cylinder head was equipped with 1.94-inch intake valves and 1.5-inch exhaust valves. The 65cc combustion chamber was a different design than the predecessor. Manufactured from 1962 through 1967, this cylinder head ushered in the musclecar era. These are the famous “double hump” cylinder heads that initially found their way onto the high performance engines (302ci/327ci/350ci) in 1966 and 1967. Two versions were made for the 327 and 350 engines, one with a larger valve package (2.02/1.60), and the other with a smaller (1.94/1.50) set of valves. The 302ci Camaro was only available with the larger valve package. Casting number 3767462/3814462/3917291 was used on 302ci, 327ci, and 350ci V8 engines from 1962 to 1970. These are the classic “double hump” cylinder heads that featured either the 1.94/1.5 or 2.02/1.6-inch valve packages. Combustion chambers ranged from 62.076cc to 63.995cc, depending on the year and application. Casting number 3890462 cylinder heads made in 1966 featured combustion chambers similar to those of the earlier 1962 fuelie heads, where the 1967 manufactured heads were slightly modified and measured increasingly larger. This casting number cylinder head has become infamous for having no accessory holes for mounting any front drive accessories from the head. Many of these mounting bosses were added by shops later and were done poorly giving the casting a bad rap. Despite this, the modified combustion chamber with larger valves flowed far better than anything else on the market at the time. Casting numbers 3890462 and 3917291 were used on the 302ci engines with 2.02-inch intake and 1.60-inch exhaust valves with large port volumes. All of the 302ci cylinder heads, regardless of casting number, had these same characteristics in order to facilitate breathing at high rpm. This was done at the expense of low-to-midrange efficiency. Two different versions of casting number 3917291 exists. The first version is virtually identical to the 3890462 casting above, except that it has a temperature sending boss in the head and the valve guide boss was increased in size. It is considered a change-over cylinder head as GM began to move the temperature sending units from the intake manifold to the cylinder heads. The valve package was the standard 327ci engine’s 1.94/1.50 smaller valves. The second version of this casting was manufactured for higher performance engines and featured the larger 2.02/1.60 valve package and a slightly enlarged combustion chamber. The valve guide boss was also increased to 0.410-inch for the larger valves. Casting number 3927186 featured markings similar to the famous double hump heads but are noticeably smaller and often called small camel humps. As the decade wound down, the camel hump heads continued to endure with subtle tweaks for power improvements. After 1969 these were made with accessory bolt holes and 64cc combustion chambers. Like the previous camel hump heads, casting number 3927186 was offered in both small and large valve packages. The temperature sending unit boss was milled into the unit along with three accessory bolt holes for mounting engine-driven accessories in the front of the engine. The cylinder head identifier was still the iconic double camel humps but the size of the humps were noticeably smaller. Once again, the combustion chamber was redesigned and returned to the 63.305cc volume. Only the 1969 Camaro used this casting with swirl-polished valves in the 302ci/290hp application. Casting number 3932441 was made with a large 76.26cc combustion chamber and could accommodate larger valves. With a little bit of work unshrouding the valves for more airflow, these heads became a favorite among racers for power throughout the RPM range. Available in the 1969 Chevelle, Camaro, Nova and some passenger cars, this head casting sat atop the 350ci/255hp engine. Valve size moved down to 1.94/1.50 to match the larger, redesigned, 76.26cc combustion chamber. With some work and larger valves, this casting became a favorite in some performance circles. Circle track racers running methanol looked for these heads because of the power that could be made with the larger combustion chamber. Couple the space for extra fuel-charged air with the great flow characteristics and the reward was low-to-midrange torque with top-end power. Despite the huge power numbers in 1970 and 1971, the rest of the decade was spent with open combustion chambers with lower compression in preparation for unleaded gasoline. The dividing line for Gen I performance cast iron cylinder heads and the lower performance smog heads has to be set between 1972 and 1973. All of the higher performance heads in the early 1970s were versions carried over from the very popular late 1960s musclecar cylinder heads. This was a decade that most high performance aficionados would like to forget. The 1980s bounced back with new throttle body injection (TBI) and tuned port injection (TPI) that gave enthusiasts hope for better days after the dismal 1970s. It took some time for the cylinder heads to catch up to the new fuel injection systems, but when they did …happy days were here again. Most of the cylinder heads during this period were pushing the power envelope back up to previous levels and were simply stepping stones to some major improvements in the next decade. There were a couple of cylinder heads that led the way into the 1990s by bringing new technology and materials to the game. Casting number 14101128 cylinder heads gave high-performance enthusiasts hope for the future. Chevrolet showed a major improvement in 1986 with the first aluminum cylinder heads on the L-98 Corvette engine. Not only were these cylinder heads 40 pounds lighter but they had a decent power improvement over the previous cast iron version. Enthusiasts wasted no time figuring out that these stock factory heads would bolt onto older cast iron blocks and increase power, which was very desirable for budget engine builders. There were aftermarket cylinder heads available on the market that outperformed the factory aluminum heads but from the price point and availability, these stock heads promised better things for the future. When it came to cast iron heads in the late 1980s, the heads on the 285hp 350ci V8 were designed specifically for EFI with the 72-degree angle center intake bolts (1987 and later intake manifold). These featured the smaller 1.94/1.50 valve package and standard 64cc combustion chamber. These heads were the last major devlopment before Vortec heads changed the game completely. The era of the Gen I SBC was officially over when GM released the LT1 engine in 1992 in the Y-body, then spread to B and D body cars in 1994. Despite the interesting new reverse flow coolant design technology, the LT1 failed to live up to the expectations of the enthusiasts. 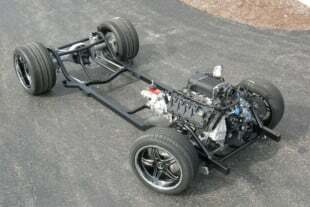 A bright new era dawned as the LS1 engine platform began replacing the LT1 engines is passenger cars. Simultaneously, the iron cylinder head flow technology was revolutionized when the L31 Vortec cylinder heads hit the market on GM trucks. The L31 Vortec cylinder heads represented a major design change in Gen I SBC heads. They could be used on any SBC block from 1955 through the end of the Vortec engine production because the mounting holes lined up properly and the water passages were the same as the cylinder heads from the past 40 years. Oddly enough, the Vortec heads were a complete redesign using the 1996 Caprice/Impala LT1 cast iron head castings as a base. GM changed the LT1 head design by revising the water jacket so the new Vortec heads could be used on conventionally cooled small-blocks. The idea of using the 1996 LT1 cast iron head as a starting point for a new performance stock head came from the fact that it was the highest flowing LT head used by GM to that point. The cast iron Vortec head was one of the first to purposely integrate tumble instead of large swirl numbers in the design. The L31 Vortec heads have larger ports than the older Gen I cast steel heads, so they outflow the older heads. The Vortec heads are a little bit lighter than the older heads and have a kidney or heart shaped combustion chamber that is more efficient than the older Gen I open or closed combustion chamber designs. The Vortec combustion chamber have a radical heart-shaped design compared to the older Gen I combustion chamber on the right. L31 Vortecs comes in two different casting numbers, 10239906 or 12558062. Originally, the stock 10239906 casting head was available in two versions-one with Inconel exhaust valve seats with a single angle valve grind that was available on one-ton trucks. The other version was the traditional three angle valve grind. Otherwise, the casting number 10239906 is the same as the 12558062 head. Even the Vortec sawtooth casting identifier was a radically different design than previous head markings. The intake port is designed with a cast ski jump on the port roof which is there to increase port flow velocity. Port flow was designed to be high in the .300-inch to .500-inch valve lift area to make power with relatively low-lift truck camshafts, whereas the old school Gen I heads liked higher-lift camshafts to make their power. The bowl area is wider around the valve guide–much wider than the old GM cast iron heads. The intake and exhaust valves and valve seats have a three-angle grind and the valves are back-cut from the factory. Naturally aspirated, stock out-of-the-box Vortec heads have the potential of making 480hp. Out of the box double hump cast heads produced from 25 to 40hp less, depending on valve size. The flow characteristics of this cast iron head were better than anything before it due in large part to the high velocity ports. LS1 cylinder heads were developed simultaneously with the Vortec and LQ4/LQ9 cylinder heads. The heads have only undergone minor revisions over the years since their introduction in 1997. The biggest modification was a switch from perimeter valve cover bolts to center bolt configuration in the 1999 model year. There are a variety of valve cover and coil pack mounts for the LS1 cylinder heads. The LS1 debuted with cathedral-style intake ports and were a major improvement for air flow. The later castings number (12564241) were manufactured from 319-T7 aluminum. The LS6 cathedral-shaped intake ports with raised floor runners helped move the torque curve up. 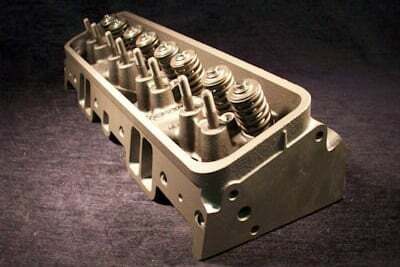 The LS6-style cylinder head is good for naturally-aspirated applications because of the smaller combustion chamber, but the LS6 cylinder heads are unique to LS6 engine blocks and intake manifolds. LS1 and LS6 engines can only use LS1, LS6 and LS2 heads because of the smaller (3.89-inches) bore size. Using heads designed for larger engines will cause the valve-to-block interference. LS2 blocks are able to use LS1/LS6 heads because of the larger 4.00-inch bore, as well as the L92-style family of heads that also includes LS3, LS9 and LSA cylinder heads. The LS3/L92 engines can use any head except for the LS7 and C5R. The LS7 blocks can use any LS-series head but should be matched with heads designed for at least 4.10-inch bores but 4.125-inch bores are preferred. The LS6 cylinder heads are virtually a tweaked up LS1 head with a smaller and more efficient combustion chamber due to machining a small amount off of the deck surface to create the 65cc chamber size. This also raises the compression up to 10.5:1. The combustion chamber design and compression ratio shortens the burn time and requires less ignition timing advance to produce the same power. Less timing means a complete and efficient burn that allows the engine to produce higher torque values. Couple this with the improved flow cathedral-style intake ports, and D-shape exhaust ports, and the LS6 cylinder head outperforms the LS1 heads at full power. The LQ4 cylinder heads first saw the light of day in the 1999 Chevrolet Silverado and GMC Sierra 2500 trucks. LQ9 cylinder heads were first equipped on the Cadillac Escalade AWD in 2002. 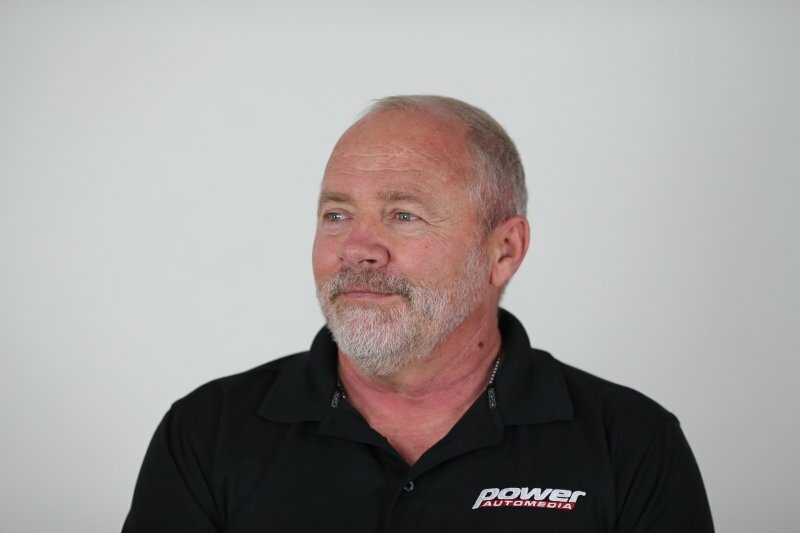 Using advanced flow design technology to create higher torque numbers (higher compression ratio, larger valves and the cathedral ports) in a cast iron head that was virtually indestructible, the LQ4 and LQ9 heads found instant success with the truck crowd. The LQ9 heads were aluminum but the LQ4 heads were cast iron for 1999 and 2000. These cast heads are still very desirable for engine builders using forced induction because they flow very well and take a lot of punishment. Gen III/IV Cylinder Head Castings. General Motors continued to tweak and redesign the modern small-block engines adding more displacement and horsepower than any small-blocks that came before. Tailoring the new generation of engines toward their displacement-on-demand technology, GM engineers sought to improve on the efficiencies the Gen III engines discovered, while adding more cubic inches and power at the same time. The Gen IV cylinder head era began in 2005 when the new Corvette, SSR Roadster, Trailblazer SS and GTO models hit the market with the LS2 engine. The movement continued with the L92/LS3 followed by the LS7, LS9, and the other members of the LS family, each bringing more application specific technology. The LS2 became one of the most adaptable of the new small-block engines, as the LS1, LS6, LS3 and L92 cylinder heads work well on it. The massive LS7 engine became the largest LS engine offered in a production car when it was released in 2006, instantly becoming a legend. Lightweight components are the hallmark of this engine, including the larger Del West titanium intake valves. 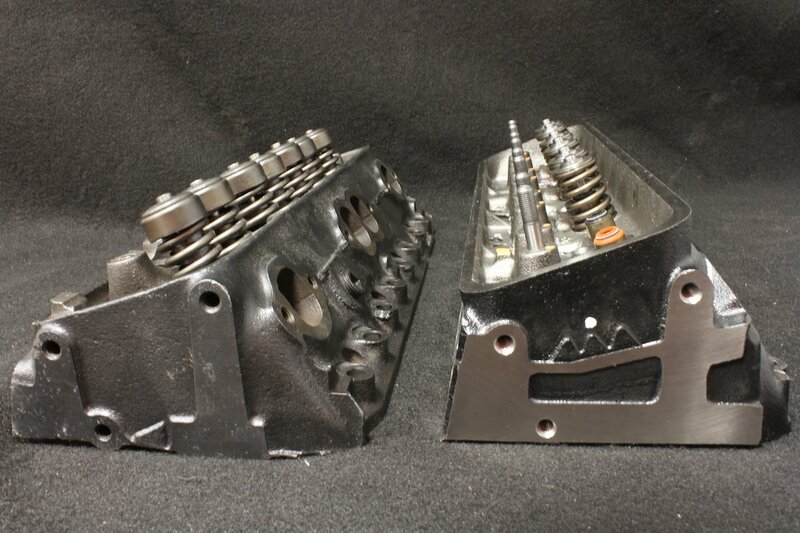 Thorough testing and modifications by the GM engineering crew, with several high performance race teams, turned these cylinder heads into competition-proven winners and eventually landed them on the highest output V8 that GM made at the time. The LS7 is a streetable racing engine that is built by hand at the GM Performance Build Center in Wixom, Michigan. The cylinder heads have a unique intake bolt pattern and the rocker arm ratio increased to 1.8:1. The intake rockers are offset like the LS3/L92 cylinder heads. If you think GM is done developing new cylinder head technology, or that everything that could be done to boost performance in cylinder heads has been done, then you clearly haven’t see the Gen V direct-injection cylinder heads. If this lengthy look back at small-block cylinder heads has taught us anything, we learned that each decade of research and development leads to the next decade of performance and efficiency. As evidence of this, all we have to do is look at the performance of a standard street vehicle today and compare it to the best the musclecar era had to offer. Even the most basic truck engine cylinder head today is miles beyond the best cylinder heads from the ’50s, ’60s, ’70s, or ’80s. Satisfied that cylinder head technology has improved by orders of magnitude beyond what engineers thought possible 20 or 30 years ago, we are excited to see what the next 10 years brings.